Moving around not necessarily holidays but both pleasure and business. At home mostly but abroad as well. THIS COULD SAVE YOU 1000s ON A USED CAR! Today I had the pleasure of speaking to the guys at MYCARCHECK to find the back ground of a car. Now I know the background of my car, so what better way to test the service. We have all bought a used car, and we all try to use judgment to determine if it is a good buy. Well let me tell you, I have had some nails in the past. I bought one car a Peugeot 206 some years ago, it was that bad when I took it back they offered me another car. The Peugeot had some illegal points to it, I feel the offering of another car was a hush gesture. 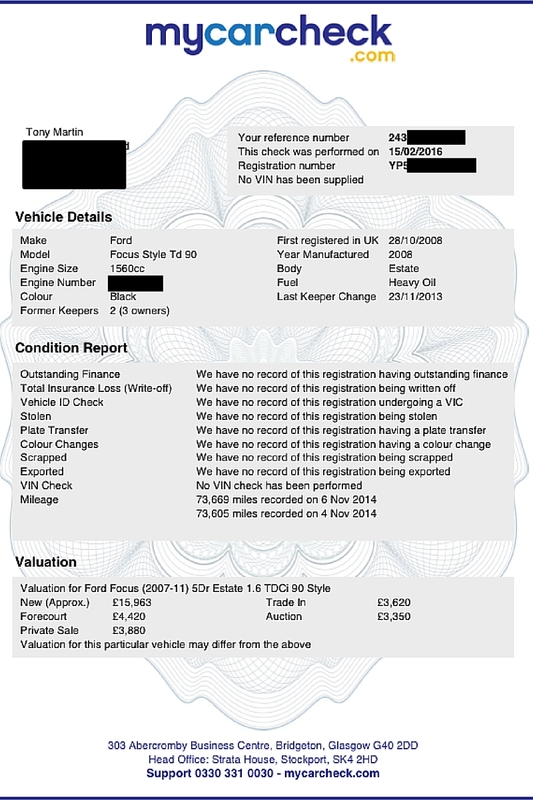 Many times we may lose money on a car we once thought was a good buy, that’s where MYCARCHECK comes in. Give them the reg of the car you wish to find out about and they will give you the full background of its existence. A text message will be provided and a downloadable PDF report will be whizzed over to your inbox. For privacy i have blacked out items. This can be printed out and taken to the seller, i didn’t give full details as it was my own car. Many a dealer could take this as a mere mock-up that you have just printed out. However, the emailed report comes on headed format from a reputable company that has access to a wealth of databases. One of them databases is the DVLA, and them guys tell no lies! I can’t stress the importance of a safe and sound vehicle, I spoke to David McLashan (one of the service agents) at length with regards to the scams that people pull in a bid to get your money without giving you anything in return and the contents were eye watering. I have to admit this is the first I have heard of this particular company even though they have been around since 2005 and they have some major companies as their associates, TESCO NO LESS BEING ONE OF THEM. So what is the catch I hear being bellowed from just about every car dealers forecourt…………..
Well there isn’t one really, prices start from £1.99, but for a mere £9.95 you can get a full bells and whistles check. In the long run this may save you thousands, even better give you sound of mind that you have a vehicle to transport your loved ones that is safe. The service agent I spoke to was delightful and polite, and it felt like he went out of his way to explain the details of the PDF. I have to say I wish I had known if there was a service like this when I was buying some of the cars that I have had in the past. Services like this are beginning to pave the way in stopping scammers duping you out of a large amount of money. Think that £9.95 is a lot every time you want to check your car? Think again when you buy a used car and have to end up shelling out a tidy sum to put something right. I know I’ll be using the service in the future. Come back to this post if you do have to use them. Let me know what happened but let me know of any NAILS you have bought and what happened. Ok, if you follow me on certain social media sites Twitter, Instagram, Facebook. You may know by now that my full-time job is a self-employed taxi driver, and blogging is something I enjoy creatively. Now I go through tyres like no tomorrow, I have been known to do on average 16,000 miles in 3 months. I tend to go through tyres about every 7-8 weeks. I usually go to a particular garage, he is cheap but it does take a while to change them as he is doing other stuff. But I go because as I said he is CHEAP. However, I had the pleasure of being a customer of KWIK FIT, they do the job quick and are pleasant as soon as you walk through the door. The tyres that I have on my taxi come to £96, and that was with a saving of £28. You do save more by booking and paying on-line, when you go onto the website it will ask for your reg and come up with the nearest if not the same size tyre. 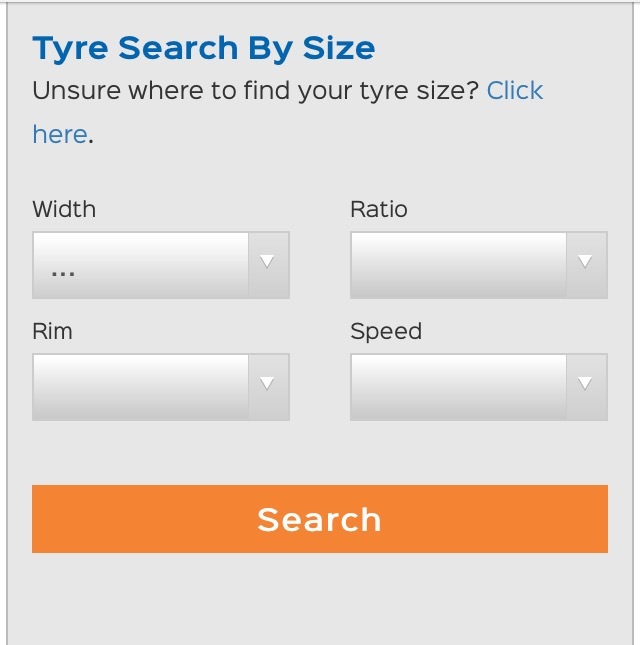 You can also place in the options the exact tyre size on your vehicle, as stated on the website the online prices are exclusive. You can see from what I paid and what I saved, it does make sense. 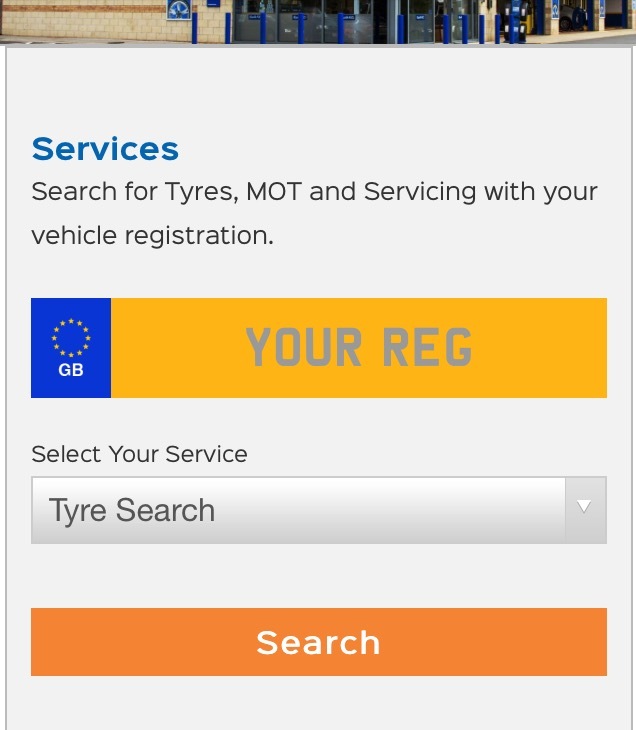 When you first go to the page it is totally at your disposal, you can either type in your registration and it will in most cases come up with your tyres. I say most cases because with mine it did not come up with the right ones, which i found out once i got down there. If you happen to have the energy (lol) to go out to your car you can use the drop down menus and pick your actual tyre size and save all the pain. The staff was helpful, professional and I have been to two kwik fit stores in the last couple of weeks, and both had a free coffee machine. They also do a free break check and they do off their own back, tell you other things that’s wrong. They told me I had a broken coil Spring, so they are professional and helpful at all times even if you do go somewhere else to get the work done. I was told as well that on further visits (without booking online), if I keep my receipt I will get the same price for tyres EVERYTIME. I would suggest that this obviously depends on the store, but that has to be a win. All in all it was great customer service, and damn fine coffee (even for a vending machine). NEED NEW TYRES? 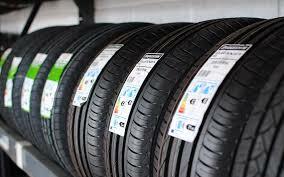 GET DOWN TO KWIK FIT AND DON’T FORGET…………..
BOOK ONLINE FIRST AND ORDER THE TYRES! 6 Tips for female safety on taxi travel. New year, Christmas eve to be honest they are all the same. Its a night out full of merriment and forgotten memories of the night before, and embarrassment the morning after whilst your looking at the crazy photos. But when it comes to going out we can sometime feel a little insecure especially if our friends inadvertently leave us on our own to get home. As a taxi driver myself I often see females walking home on their own and it disturbs me, on a few occasions I have picked them up and taken them home for free as they have not had any cash on them. You wont find this a regular occurrence as we all have to make money and have an income. After being a taxi driver now for a few years my female customers have told me many stories of what has happened to them, below are a few tips for THE FEMALES among you of how to be careful when getting a taxi home at this time of year. Never ever get in a taxi/cab if it doesn’t have a company name and number on the side or a TAXI top light: Black ‘London’ taxis quite often have the emblem COMPUCAB or DATA CAB. And to be honest these type of cabs are checked, then checked again and then checked just to be sure. Know the company that is taking you home. Take a business card from the driver: ALWAYS ask the driver for a card even if you decide not to use the driver or company again, IF something does happen that you are not happy with or if you think you have dropped something in the taxi you have a number to start at. Fake phone calls instil confidence: If you are feeling a bit weary of your driver once you are on your way, make that phone call to someone you know. Even if you cant get no one IMPROVISE pretend you are talking to someone. This may sound a little crazy but it works especially if you commentate ‘to the person on the line’ about where you are. Always, always, always, make sure you have money to pay: Take a minimum of £20 and place it in a hidden pocket either on you or in a bag. There are drivers out there that wouldn’t leave a female stranded but they/we do need to make a living so there is a small percentage that wouldn’t give a free ride and they are justified in doing so. All taxis have a council number: Make a mental number of the taxi council plate either on the rear or from of the taxi, make a note of it on your phone once you are in the taxi. FRIENDS: make a note of this as well as you send your mate on her way. It is despite common belief fraud, to hire a taxi and then refuse to pay or do a RUNNER and if the company or driver persue it you WILL HAVE TO PAY and police can be called. LADIES……NEVER EVER WALK HOME ON YOUR OWN EVEN IF YOU HAVE NO MONEY,QUITE OFTEN IF YOU TALK TO A DRIVER THEY WILL UNDERSTAND AND AN AGGREEMENT CAN BE MET WITH REAGRDS TO LEAVING SOMETHING AS SECURITY UNTIL YOU ARE ABLE TO PAY. eg. mobile phone, item of jewellery etc. These tips were given to me through talking to customers over a long period of time, how ever you get home over the festive period make sure you are safe in doing so. Not all taxi drivers are dodgy if any are actually at all. But it can be intimidating trying to get home late at night.